Over the past few weeks, the traps have been increasingly populated with a micro moth called Udea olivalis. 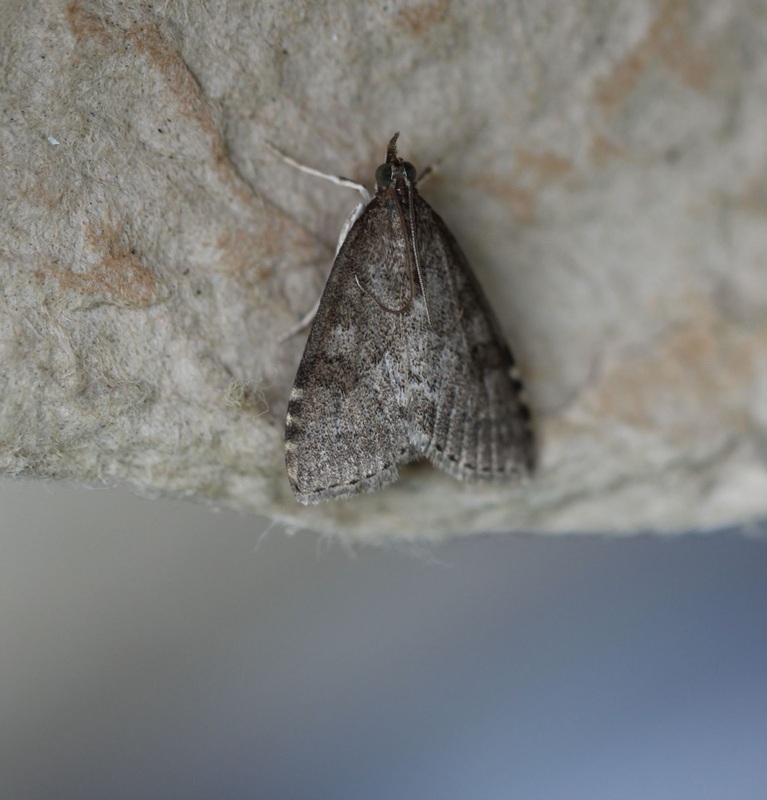 This moth is common to the garden yet has never before been featured on the blog. 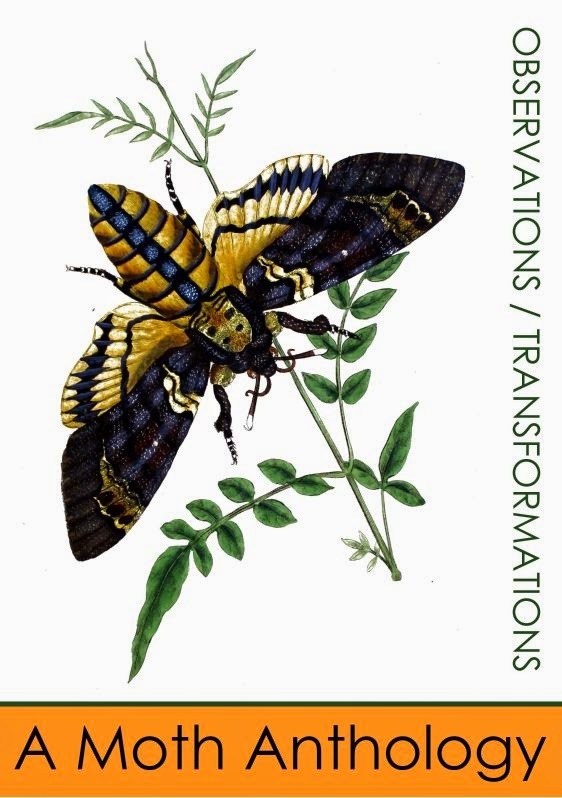 Udea comes from a word meaning “surface of the earth” because the larvae feed on low-growing plants and the adults are often found in rough pasture; olivalis is a bit of a mystery: the word means olive tree, but we aren’t quite sure what is the moth's relation to the plant. Is it the foodplant? Is it the color? As is sometimes the case with moths, we simply don’t know. In this most recent trap, a cousin of the Udea olivalis managed to sneak in: Udea prunalis. This moth looks almost exactly like Udea olivalis, except it’s a slightly different color and has dark markings on its wings instead of white ones. Unlike olivalis, it is known that this moth feeds on blackthorn, which coincidentally is also the meaning of prunalis. When shown side by side, the family resemblance is really uncanny! It is common in the moth world for names to change and alter over time, as there is no unifying body presiding over all lepidopterists. 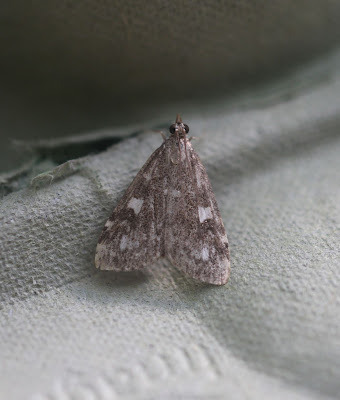 In Humphreys & Westwood, these moths are referred to by different names than those of the present day: olivalis is called the White Brindled, or Margaritia olivalis; prunalis is called the Clouded Pearl, or Margaritia prunalis. Margaritia is a genus that means “a pearl,” but this is no longer in use. This family of moths no longer has vernacular names, being identified only by their scientific titles. So keep your eyes to the surface of the earth, in order to catch these little moths in action! Mesapamea secalis agg. - Common Rustic agg.